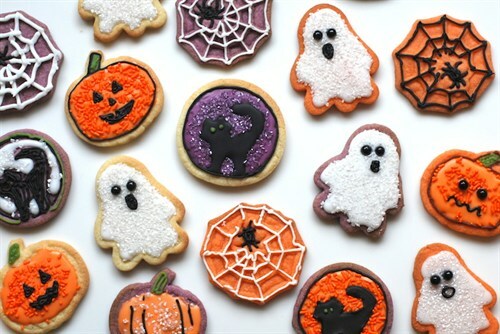 It’s nearly Halloween… that time of year when the kids are desperate to dress up, trick-or-treat, and of course do some Halloween baking! 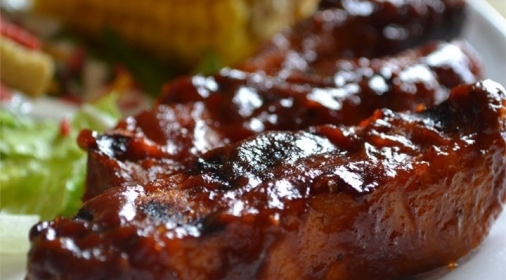 But are you struggling to think of Halloween food ideas for the kids this year? Look no further! We have listed a selection of Halloween food ideas for kids that are quick, easy and they are bound to love! Use our easy cupcake recipe to be a create a batch of cupcakes, and then get creative with some creepy decorations! 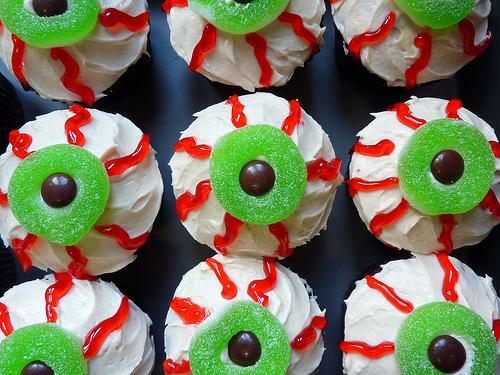 You could devise a spooky spider-web cupcake using sweets and icing, a pumpkin cupcake using orange icing or organise some jelly sweets to look like an eyeball! The spooky spider web pizza is not only fun to make, but it’s also a real crowd-pleaser! 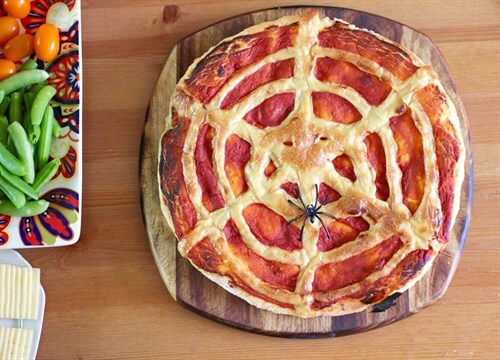 Using a pre-baked crust, just spread the pizza sauce over the base and then strategically place mozzarella cheese in the shape of a spider web before baking in the oven. You can even use a few olives to create a spider for an added spooky Halloween effect! 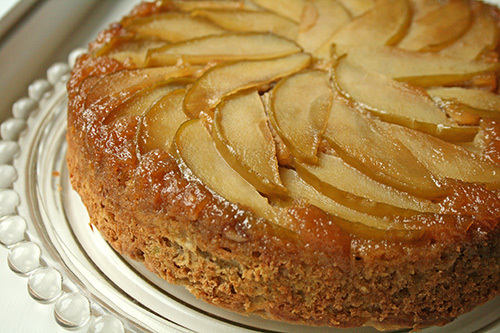 Why not bake our popular Toffee apple cake recipe from a couple of years ago?! 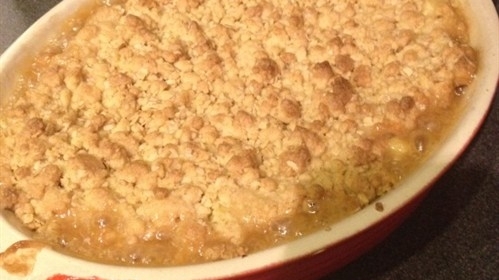 It will satisfy your kid’s sweet tooth and is great for parties! Create 10 walnut sized balls by adding broken Madeira cake and cookies into a food processor, and then add melted milk chocolate! Then simply leave to cool, cover in chocolate, decorate, add to a skewer and stick into the base of a pumpkin! The kids will love it! 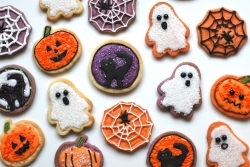 Cookies and biscuits are always guaranteed to be a big hit with the kids on Halloween! Simply gather some biscuit dough, and then get creative by rolling and cutting them out into spooky shapes! 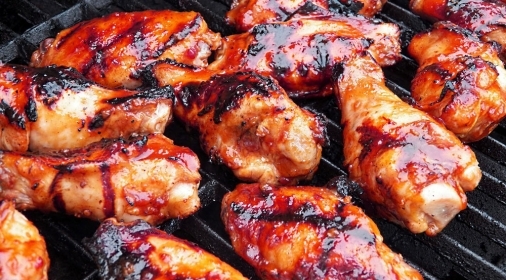 A very simple, yet effective and gruesome effective food idea that the kids will go crazy for! 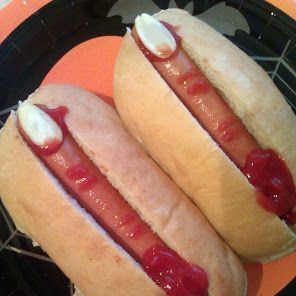 Simple put the hot dog in a bun, add an almond for the fingernail and decorate with tomato ketchup to give the effect of blood! 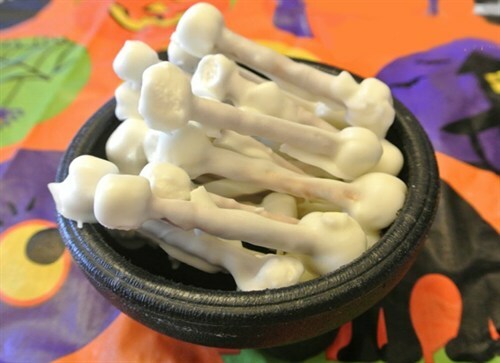 Stick two marshmallows on the end of a pretzel or a breadstick, and then coat in melted white chocolate to give the effect of bones! 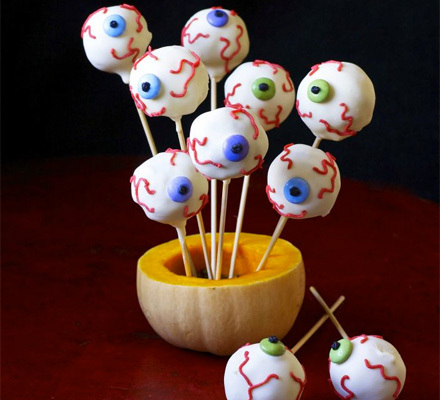 We hope you and your family enjoy baking and eating these terrifying treats this Halloween! And remember to call Ovenclean if your oven is looking a little worse for wear after all the baking. Happy Halloween everyone!